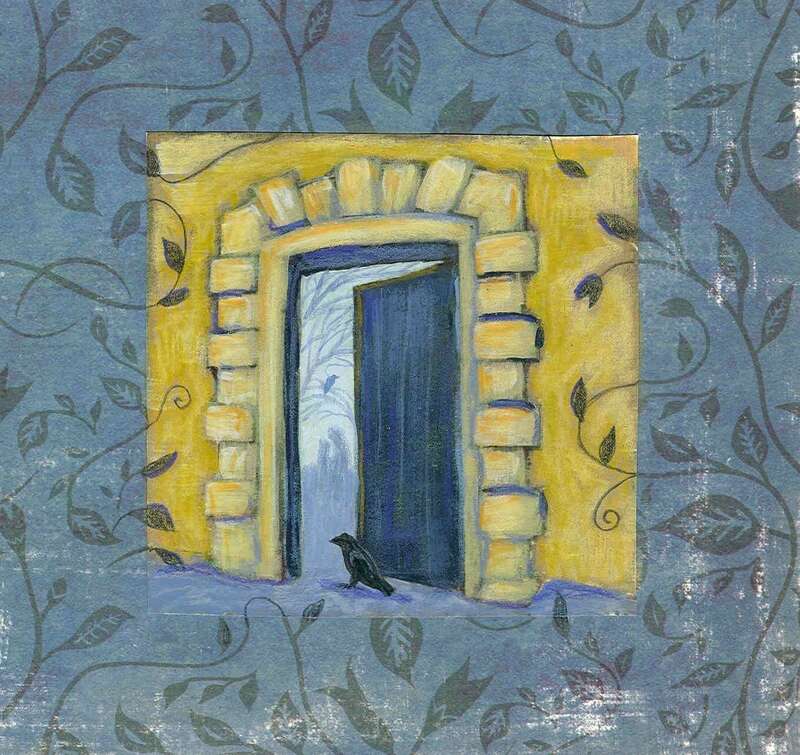 "Raven always met her behined the glowing wall with vines. Apparantly someone else likes to meet there as well." This is the image I came up with for Illustration Friday for the word "clandestine." I often use ravens in my themes.